Need help? Which parking signs should you consider? Getting the right signage is vital, especially when it comes to helping motorists stay safe. Here at Seton we stock a huge range of traffic signs and mirrors, which are perfect for use in industrial estates, car parks and on private traffic routes. Our signs can be easily attached to a wall or mounted to a post and are available in a variety of materials. 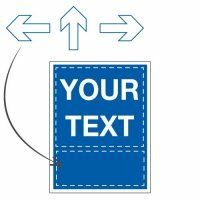 Our parking signs buying guide features information on which signs you might need, where they can be used and other frequently asked questions. Create your products online with Seton Creator, the handy app to design, visualize & order your products online. This guide will answer the questions most frequently asked by our customers. At Seton, we stock a wide range of traffic and car park signs to meet your needs. 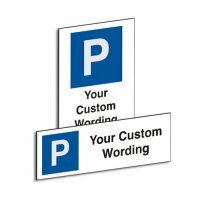 We have numerous different parking bay signs to help you clarify what specific spaces are for. You can use them to distinguish between staff and customer parking areas, identify disabled parking bays, and much more. They make a useful complement to our line marking equipment, which can be used to stencil words or symbols on the ground itself. You can also check out our range of road traffic signs. Parking restriction signs make it easier to keep areas of your premises free for other activities like outdoor work, or to allow delivery trucks to come and go. 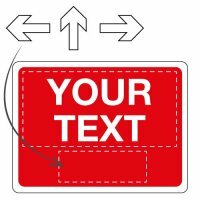 We sell standard signs as well as those that can be customised to show timed or other restrictions as required. Speed limit signs help keep your premises safe and can be used in combination with our traffic calming equipment such as speed bumps. Reducing speed is incredibly important for safety, but drivers aren’t always aware that pedestrians and cyclists are nearby. Keeping speed to a sensible level in all areas around your site is always the best policy. You will find our direction signs useful for helping people find their way around the outside of your premises. We stock everything from simple arrows to messages indicating the location of your reception, delivery entrance or other specific areas. You will also find signs to tell people which way to turn at junctions and to help them identify car park entrances and exits. We stock hazard warning signs which you can use to keep people from driving into dangerous areas or parking where there may be a risk of damage to their vehicles. These signs have a wide range of messages and well known symbols, suitable for different situations. All our signs feature large, clear text, or widely understood symbols. With so many signs in our selection, we are bound to have something to meet your needs. Alongside the signs themselves, we also supply a range of fixings that can be used to attach signs to brick walls, glass and other surfaces. Posts are often the simplest way to mount a sign in an open area. These are strong enough to survive the kind of minor bumps that occur in car parks from time to time, and you will not need any special skills to fit them yourself. If you need a short-term solution, there is also the option of attaching signs to specially designed traffic cones. Just remember that raised signs are easier to spot from a distance. How are signs like these mounted? Do I need to use poles? Most of the signs in our selection can be mounted in multiple ways, and we have an extensive range of fixings including posts to help you with this. It rains a lot around here. How long can I expect the signs I buy to last? All the signs we sell are made from high quality, durable materials and our outdoor signs are designed to be weatherproof. As long as you look after them, they should remain in good condition for years. Simply make sure that you do not mount them under drips or in places where water can collect around them. How easy are signs like this to clean? Most of the signs in our range can be wiped clean with soapy water. Use a dry cloth on them afterwards to remove smears. How often you will need to do this depends on the amount of pollution and dust around your premises. 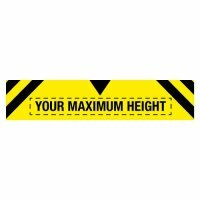 Are the signs you supply suitable for use on public roads? Some of our signs are designed for use on private premises only, while others can, with permission, be used on public highways. The latter are useful if you are working off site, either on or beside a road, and you need to ensure your employees stay safe and the work you are doing is not interrupted. We have a wide range of signs suitable for outdoor use available, including those with site navigation, hazard warning and access messages.